1-Start saving money: don’t delay! You have to start this from Day 1 and not miss a day. If you don’t already have a savings account, ensure you open one immediately to take advantage of the compound interested. If you live in Canada, ensure it is a TFSA account, which allows you to save up to $5,500 a year, with all interest earned being tax free. And speaking of saving money, ensure you pay yourself first when getting paid at work.And last but not least, don’t forget to open up and contribute to an RRSP (or other retirement saving programs) which will help with your retirement as well as for tax sheltering purposes. 2-Have a Piggy Bank: yes, a piggy bank or any jar where you can save your coins and even bills. You may be asking yourself why you need a piggy bank if you already have a real saving account at the bank? Well, as per our previous advise , the more sources of savings you have, the more money you will accumulate. It is as simple as that. So having a piggy bank, in addition to your real saving account, will help you save more money. Throw in any spare change you don’t need in there. In fact, occasionally, you will have $5 or $10 bills that you don’t need to spend, why not throw these in there too? On Dec 31 or so of 2013, you get to open the jar and enjoy all this money for a vacation, a big purchase or just add it to your bank savings. 3-Review all your bills and subscriptions: go over all your monthly, bi-monthly, quarterly and other subscriptions you pay for on a regular basis. This includes your home and auto insurance. See what can you downgrade (cable TV?) or even cancel (newspaper delivery?) Chances are, there will be things that you no longer need and can cancel. This will save you money monthly. Since it is a new year, you want to start fresh with everything and this would be the ideal time to do this. 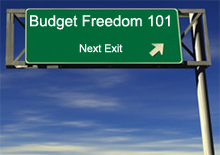 4-Review your budget: related to the previous step, go over your budget and review it in full. Is there anything that needs to change? 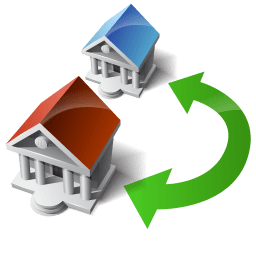 Is there any item that can be downgraded, with the resulting money going towards your savings? If you can manage to find even $10 of saving a month from your budget, you have done a good job! 5-Think about your taxes for the new year: if your work situation was such that you had to pay back to the government when filing your income tax last year, you need to do something about it this year. Instead of paying the government more than you already have, why not take some steps to ensure you don’t or even get something back? While the scope of this article can’t cover what does or doesn’t qualify as an income-tax eligible expense, there are some basic ones that should be on everyone’s list. These include RRSPs, charitable donations, medical expenses etc. Ensure you have all of these in one envelope and label them with the appropriate year (2012, 2013 etc.) When income tax filing season is here, you will be ready. 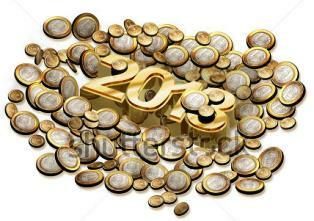 Following the above steps will ensure you stay afloat financially in 2013 and have money to save, spend and enjoy. Start planning now while you still have some hours left in 2012! Still not convinced that you need a budget to organize your personal finances? I will give you 7 great reasons to prove to you that having a budget is absolutely the right thing to do, and hopefully at the end will convince you that having one is better than not having one at all. At the end of the day, no one can force you to do anything with your money. It is your choice. But let us face it, just because it is our money doesn’t mean we know what to do with it. Sometimes, it helps to take the advise of others and try it out, it may just work out for us. After all, I only started budgeting myself last 2 years or so, after having ignored the concept for much of my adult life. 1-See the big picture: with a budget, you can easily see what is coming in, what is going out and what is staying in your hand. When you have such financial information handy, you will be better able to make important decisions that will help you now and in the future. 2-Financial Freedom: Have more money to spend on all your needs. With a budget, you will set an amount for every category, this way, you will never have to spend all your money on one thing and not have anything left for other things. A budget ensures everything stays within its boundary and not be impacted by what you are spending on other things. With no budget, for example, you can spend your entire paycheck on paying for something big and not have anything left for other items. 3-See problems and adjust: are you spending too much on eating out? are you paying lots of interest on your credit card debt? with a budget, you will be able to see problems such as these and be able to correct or adjust them. 4-Helps with your saving: you know what you are spending on and what is left for saving or vise versa. With no budget, there is no visual or mental restriction on you and what you can spend your money on, so you could end up with no money for your savings. 5-Eliminate your debt: when you create and plan your budget, you will set a special category for ‘debt.’ The amount you allocate to this category will depend on how big your debt is,how big your income is etc. Nevertheless, to be able to dedicate a specific fixed amount from every paycheck that will go towards the paying off of your debt will mean that you will be consistent and not have to miss any payments or fall behind. Again, the idea is that a budget is like a map where the boundaries are clear and there is no risk of one taking over another. So you can keep paying your debt while still setting aside money for saving. 6-Serves as a mirror of your financial situation: by laying it all out in a budget, including your income, spending and money leftover for saving, you will be able to judge your situation and decide what needs to change. 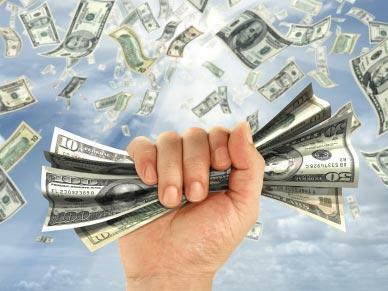 Is the money you are making not enough, and as a result, need a new better paying job? or are your spending out of control and you need to do something about it? A budget will help you see your current status and you can then decide what you need to change. You never know, a simple budget could be your motivator to change careers to a better paying one. 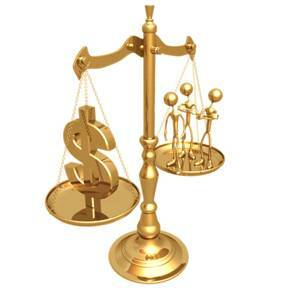 7-Eliminate Stress: a budget will help you eliminate both your debt and the stress that comes with it. Think about it: a budget is like those ‘debt consolidation plans’ that you have likely been hearing a lot of lately. Only difference, with a budget, you pay down your debt without any concession or major sacrifices to creditors and banks etc. Not to mention, it could even save you from going in the path of declaring personal bankruptcy. I hope these were enough reasons to convince you of the importance of having a budget. If you think creating and maintaining a budget is too much work, then you can start slow, maybe through envelope budgeting and then slowly evolve to full-fledged budgeting. If you are still not convinced, let us know in the comments section. In your budget, you would naturally have a ‘savings’ category for future emergencies or just general saving purposes. But what if you want to buy a fairly expensive item (at least hundreds of dollars and up to thousands) like a vacation, new furniture, or even a car? Do you dip into your ‘savings’ and just take the money from there? No need to do that. There is a better and more efficient solution. Create a new category in your budget and dedicate it to the future item that you want to buy. For example, if you want to take a one week vacation to Mexico that will cost you about $800, create a new category in your budget and call it “Mexico Vacation” . Psychologically, it makes a big difference to make it as specific as possible by calling it “Mexico Vacation-August 201” and not just some general “Vacation.” This generally helps your brain become more focused on this, since you have a clear destination and timeline. Where do you get extra money from? Now to the other challenge: where do you get the money from? Just because you have to save for something new, doesn’t mean you have extra money to spare. Your income is still the same (unless you are due for a raise at work, or start a new PT job) First thing to do is to conduct a budget review, line by line, and see which categories can you afford to take some money from and transfer it to the new “Mexico Vacation – August 2011” category? The easiest and most logical place to start from is your ‘Savings’ category. This is not to suggest that you will stop saving, and just put everything towards the Mexico vacation. Rather, you would take something small from it and reallocate it to the Mexico vacation. For example, if you put $125 from every paycheck towards your savings, you can take $25 from that and transfer it over to your “Mexico Vacation-August 2011” category. You are still saving, but just not the same. But no worries, you will go back to saving the same amount once you have saved enough money for the vacation. Keep reviewing other items in your budget to determine which other ones can you afford to transfer money from to the “Mexico Vacation – August 2011” category. What about your personal spending? Maybe your weekly ‘Grocery and Food’ category? Assuming we have about 12 more pay periods from now till August, and assuming you can dedicate some $60-75 per cycle to the ‘Mexico Vacation – August 2011’ category in your budget, you could achieve your $800 goal that is needed for the vacation, even before August. As you can see, with some crative budget re-allocation, and very minor sacrifices (patiences and discipline) , you have saved for your Mexico vacation. In other words, with a bit of planning, you can afford to go to Mexico and still be able to carry on with most of your other life activities, including saving money. Mind you, if we have a bigger item to worry about, like a car for example, then you should look at a longer timeline (one year is ideal) and making some more sacrifices, but nothing draconian. Last, in emergency situations, you will have to dip into your savings, and maybe temporarily make big sacrifices. But if you have prepared for it, it won’t be as hard. Once you have setup your budget, the next step is to physically organize your money. That is, where you will keep it and allocate it to different items in your budget. We call it ‘Envelope Budgeting’ because you will normally use an envelope or some sort of a folder to store your money and organize it. The most ironic thing about this concept is that I was using it long before I knew it existed, until I read about it one day and realized that it actually exists as a concept in budgeting. You will want to keep money for certain items in your bank ( mainly those fixed items that are withdrawn on a monthly basis) and withdraw the rest. Once you have all your money in the envelope, start allocating it to different items in your budget. Use a large tag to label each item and enclose the money within the tag. Of course, the money you allocate to each item is already specified in your budget that you would have created here. From here on, when you need money for grocery shopping, you take it from the money allocated for it in your envelope. The same for gas purchases and so on. Ever since I set up my Excel sheet budget and this envelope budgeting to help organize it physically, my finances have changed tremendously for the better. Although I generally still make the same money, it has become so much easier to spend and save. It is as if I have found or added a new source of income. It is all about budgeting and organizing your money. If you don’t like paying by cash and prefer to use debt instead, then this whole concept of ‘Envelope Budgeting’ will no longer apply. This is not to suggest it is not doable by keeping your money in the bank, but it will be harder. Think about it: all the money will be pooled together and it will just be harder to separate than if you were to do it in an envelope with each having its own room and tag. Wouldn’t it be nice if banks introduced some form of ‘Envelope Budgeting’ too? Remember the saying ‘if you fail to plan, you plan to fail,’ so get going and start budgeting your money.